Do you like soft, less static-y clothing? Do you use the static sheets in your dryer and fabric softener in your washer and see no other alternative? Or maybe you are looking for a hypoallergenic, chemical free alternative that also eliminates wrinkles in clothing? Are you looking to cut energy bills? Then I can recommend dryer balls. Dryer balls are a great alternative to the chemical filled softeners and sheets we use in our laundry and it is safe for those with allergies. Are you allergic to wool? It's okay, Woolzies dryer balls are safe for those with wool allergies! Also if you are worried about spending money on dryer balls and them not lasting, there is a guarantee of them working for 1,000 loads! 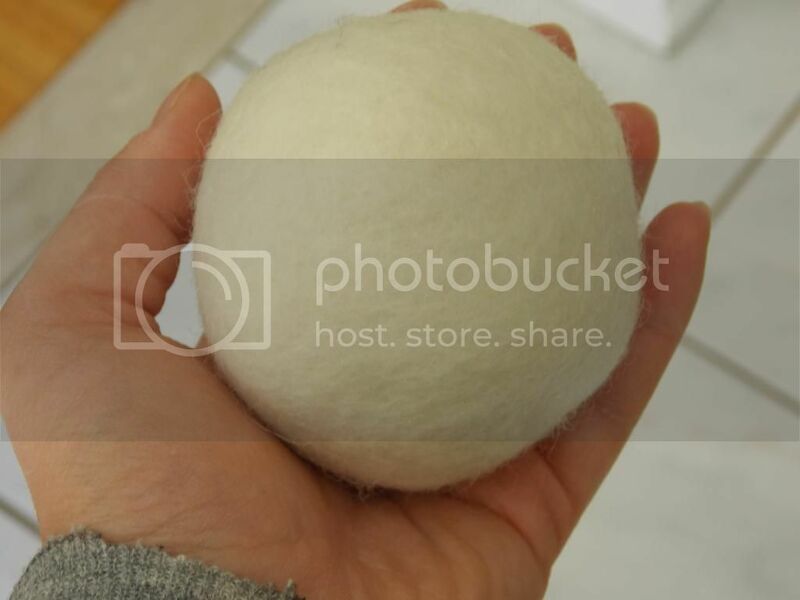 Woolzies dryer balls cost $34.95 US for 6 dryer balls. Compared to many dryer balls they come out cheap, coming out to just $5.83 per ball. Many good dryer balls cost approximately $8-9 a ball. I also like that they are white but that is personally my opinion because it appears more natural this way. Yes, buying a fabric softener container and a box of sheets may be cheaper but one softener and one box of sheets wont last 1,000 loads. 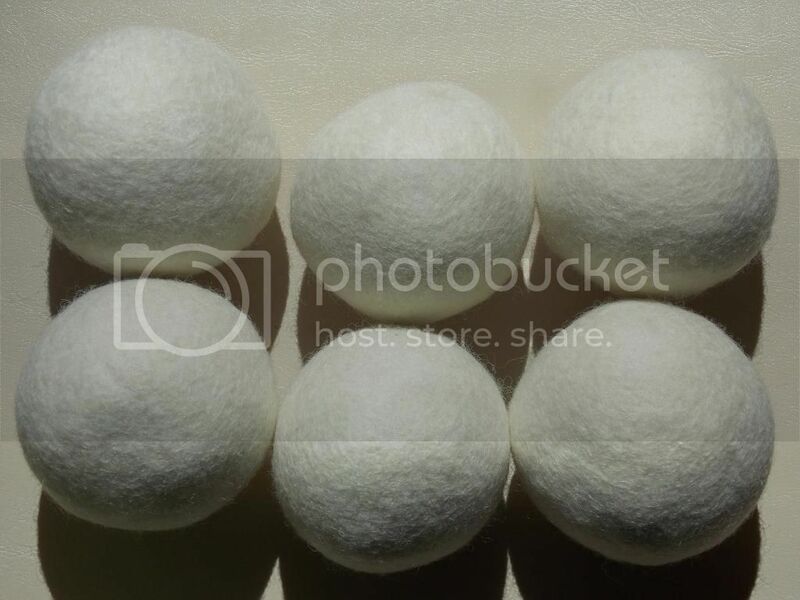 If you count how much you would spend on softener and sheets, the dryer balls come out cheaper in the end. Then again you don't NEED any of these products but static-y less soft clothing and bedsheets are not as nice. I won't begin by saying I am some kind of expert on dryer balls. Actually, I discovered them when I delved into the world of cloth diapers. This world as well as having my son and striving for options with less chemicals for him got me to learn about dryer balls. I have only tried one other set before so I cannot compare them to all dryer balls but will compare these to the set of 3 dryer balls I bought off of Amazon several months previously. 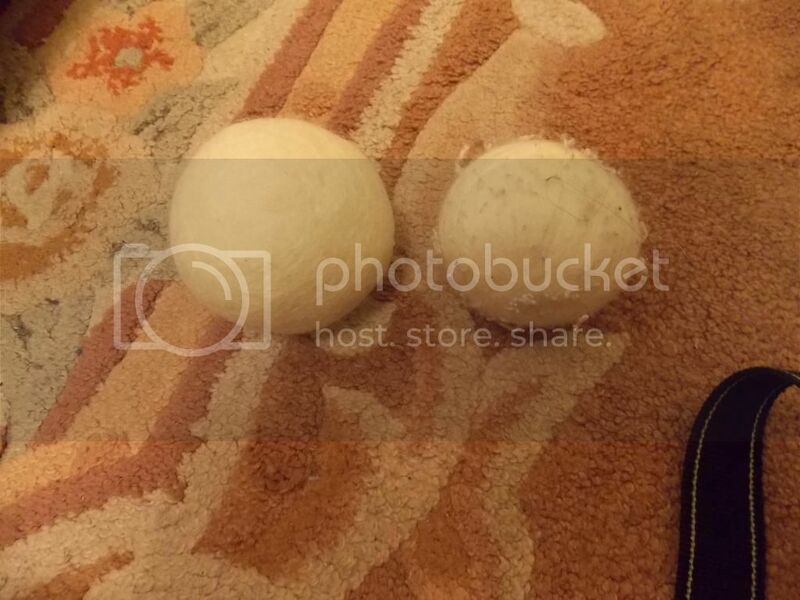 Woolzies claims that their dryer balls are noise free. I can say that NO they are not silent but when you see how dense and big they are you expect MUCH more noise. The 3 smaller dryer balls I had before getting these made an awful racket, so these SIX are much quieter then those THREE. Static reduction. There is less static then without any dryer balls. Is it less then if a sheet was used? Maybe- maybe not. A nice benefit of dryer balls over sheets is that it is cloth diaper safe while softeners and sheets are not because they coat the diapers and cause repelling. Wrinkle elimination. Im not sure how well this works but I cannot complain about my laundry coming out very wrinkled. Softness. "Gentle friction softens laundry fibers." This is the biggest thing I probably noticed. Laundry is coming out fluffy and soft. So so fluffy! A big thing many want when buying dryer balls is reduction of dryer time hence money savings in the electrical bill. Woolzies claim to reduce drying time by UP to 25% in a large loads and more in small loads! Don't expect or look for miracles. The time isn't going to disappear by 1/2 or more, it just isn't. Now does this product help shave of 5-15 minutes on a 40-50 minute load, yeah. The reduction in drying time also depends on how full the dryer is. The less the amount of laundry in the dryer the faster the balls help. I have noticed that I don't have to do 50 minute cycles on low heat anymore but that 40 is usually sufficient in a medium-large load. How do you use/care for them? For optimal results you toss in all 6 balls. You never have to remove them or do anything to them. 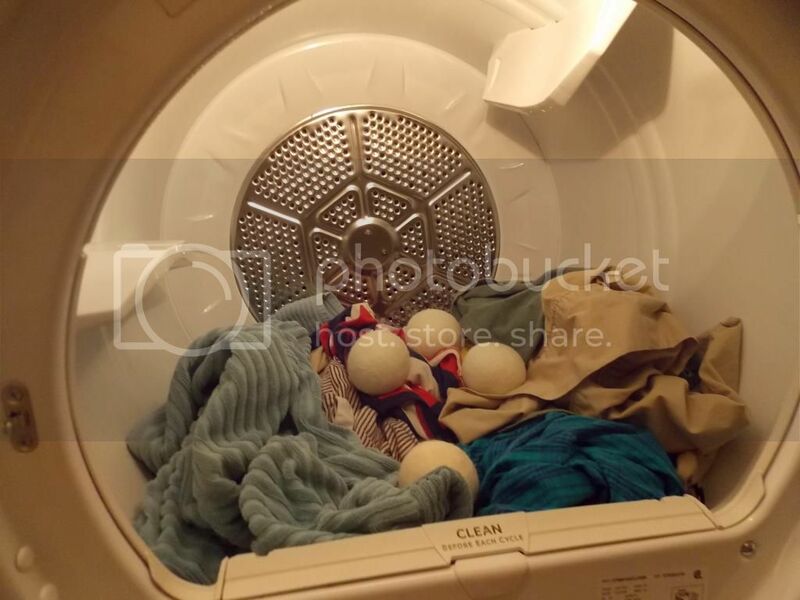 After a dry cycle take out your laundry and keep the balls in the dryer until you need them next. I have heard you can also add a drop of essential oil on them if you want your laundry to have a certain scent (lavender, vanilla, coconut). The box claims that overtime pilling occurs, you can remove this pilling but it actually aids the process. If you feel the dryer balls have lost their static reduction quality you can get it back by placing the dryer balls in socks and running them through a wash cycle and they will be good as new! Have you tried dryer balls before? What do you love about them? Do you notice a difference in your laundry? I was generously given a Thirsties Booty Luster to review by So Green Baby. The owner was very interested in what I thought about this product. 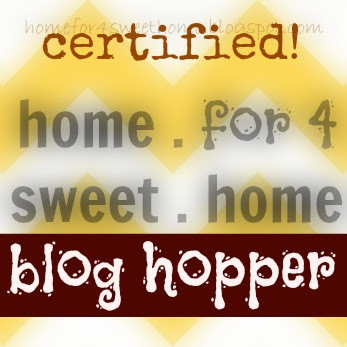 For those who use cloth wipes or are looking for an alternative to disposable wipes this item will be one of interest. What is the Booty Luster? It is a wipe solution. You spray some on the baby's bum or into a wipe then wipe baby down during the diaper change. The Booty Luster formula is meant to loosen waste and cleans the babies bottom as well as gently moisturizing the skin. This wipe solution has a refreshing lavender scent and is alcohal free, non toxic and is non irritating. The solution cleanses, soothes and aids in the prevention of diaper rashes. Let's admit it, if your child is rash prone even the use of cloth diapers does not FULLY eliminate rashes. This American made product is made with natural ingredients, including: organic aloe vera juice, calendula, chamomile, lavender, witch hazel etc. It is 100% biodegradable and does not leave any unwanted residue behind on the baby's skin. How do you use this? This may be more expensive then making your own solution or making solution out of concentrate BUT this is convenient and sometimes convenience is very nice. The 4 oz bottle is pretty small and is a great size to throw in your diaper bag for use on the go so you don't have to mix solution or wet the wipes ahead of time and worry about keeping them in a wet bag or trying to find where to keep them. With this bottle you just pull it out, shake it a bit and spray. You are suppose to spray this onto baby but I found that it tended to irritate my eyes a bit so I liked to spray some solution onto one side of a wipe, use it then wipe babies bum dry with the other side so that no moisture gets closed into the new diaper hence causing rash. There is also an 8 oz bottle that can be purchased as well for at home use. After the solution is gone you can even store your own solution/water inside this nicely sized bottle. What are my thoughts on this product? I know witch hazel is very soothing and cool on swollen or red skin so it must be pleasant for your child as well. The smell is not overly strong which is nice and there is no fake smell, it just smells of herbs and lavender. The added bonus of spraying into a wipe rather then directly on the baby was that there was no wetness on the changing table cover under the baby. The solution did its job. My son's skin is SUPER sensitive, he gets tons of redness even with cloth if its kept on long. (With disposables it's 1 hour and my poor little man's skin is all red and rashy!). This product seems to help speed up the heaing time because I seem to see redness go away very quickly after using this product which is great. I think its also helpful that we wipe his skin dry but we have always done. I have found that with this spray I have been using less rash balms, which is nice. Please keep in mind that with disposable wipes you do not use 1 wipe on a soiled diaper. Do not expect a cloth wipe to be able to get the job done with one wipe either. It may take 2 or 3.At first I sprayed once and expected a wipe to do the whole job of cleaning up after a soiled diaper. I soon learned otherwise. Using cloth does not have to be difficult! Be prepared, keep the wipes and a solution close and it can be very convenient. Thirsties Booty Luster retails for $7.95 for 4 oz compared to $10.50 for Applecheeks or $10.95 for BG solutions. Check out the solution at So Green Baby. So Green baby is a Canadian online store that specializes in natural, toxic free children's products, baby clothing, skin care products, post-partum products as well as a wide range of cloth diapers and accessories. The customer service is great if you have any questions of issues.I have recently bought lots of great goodies there including baby safe sunscreen, covers at great prices and nighttime fitteds! Personally, I have recently really started to love shopping in small and family owned retail stores rather then big huge chains, it doesn't have t be expensive, the customer service is better, you can get more correct information and opinions on the products and it is always great to use your money in small stores rather then huge chains! Water used to be given to newly born children all the time. Not only water was given but sugar was added so that they could sleep through the night. As early as 2-4 months old cereal was often added to bottles as well. This was the norm. No one thought this was strange, or bad, or pondered whether this was any good for the child, I mean it had to be. We have ALL heard anectodal evidence about how someone gave their child cereal in a bottle and they MIRACULOUSLY slept through the night. Well not every old advice is bad but some isn't so great and has been proven to be useless, unhelpful or at times even detrimental to children. Have we all heard about how moms used to rub some brandy or rum into a teething babies gums to sooth the gums? I think you get what I mean so I'll stop rambling. In the hospital or even before you all will or did get a sheet and explanations regarding stomach size and its comparison to various food/items. A baby needs nutrition to grow. I feel nvery passionate about this topic so will try not to ramble and explain things adequately. When a newborn is up it PROBABLY means they are hungry. Look for cues: are they rooting? Are they smacking their lips? Are their fingers in their mouths?Are they stirring and making sucking movements with their lips? Etc. If this is occuring they are signalling to you they want to eat. Crying is the next step when they feel their signal was not understood. Preferabbly you feed them before this because they get really upset and may have a hard time latching. Or if your child is anything like mine the signals will be non existent or last all of 5 seconds before the wailing cry meaning FEED ME begins. I mean my little man would pitch a fit in the time it takes me to unlatch my bra and pull up my top for him. Back to the topic at hand, your child needs nutrition to grow and develop. They grow and develop imensly right before your eyes in the first year. I mean you see the changes from one day to the next. I mentioned the food/item comparison above. A babies stomach is the size of a thimble/marble on days 1 and 2, then a ping pong ball on day 3...finally by day 10 it has grown immendly and become equivalent to a large egg. They may want to feed all the time and it makes sense because it takes very little to fill that small stomach and that energy from the milk goes fast because they grow so quickly. Now if you give them water, you know a TINY bit, a spoonful or even 1/2 a spoon, there stomach is full. Wait a spoon isnt a lot though, but their stomach is so small at this point that it either fills up the stomach completely or the majority of it. Now since the stomach is full of water (which does not have the nutrition that a baby needs) the child is not getting nutrients at this time. Yes it is only for a little while then you will give them food, but that is a little while how many times a day that your child is missing nutrients that they were asking you for and instead you gave water. Water is just an empty space filler. Your childs body knows how much nutrients it needs and how fast it needs to grow. By adding water you are messing with their ability to do this, you trick them to think they ate when they did not. Their bodies are not ready and do not know how to take into account water or cereal. Also not only do they not get the nutrients needed this is less fat and calories, hence even a minimal amount less weight gained then would have been (though the amount is beyond tiny but still). I wont even start on how bad giving sugar water is, yes breast milk is sweet but it is natural your child should not get sugar for a LONG time still, there is nothing good about giving a baby sugar. Next issue is that there is a possibility of water intoxication. 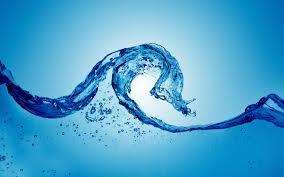 Too much water can cause water intoxication. What does water intoxication cause? Seizures and possibly coma or even death. This happens because the water causes an imbalance in the blood, it dilutes the blood which makes the electrolytes in the blood go out of balance. This argument is countered often with "I only gave small amounts." Well lets go back to the size of a babies stomach. How much is to much when the stomach is the size of a marble? What about a ping pong ball? What about an egg? What is the point of risking anything if your breast milk first releases fore milk which is like a drink it is pretty much all water, then comes the hind milk which is fatty and is the "food". Also keep in mind that both fore and hind milk have nutrients and water does not. A newborns body is not equipped or able to work the water over well! No nothing bad probably will happen if you give a little but personally I did not want to risk anything nor fill my son's tummy up with something nutritionally void. But all beings need water. Our bodies are over 80% water. Yes but breast milk is also mainly water. Your child gets enough water and will not be thirsty after breast milk! Lets look at animals. No animal drinks water whilst feeding on milk. Also think about tribal communities, our historical ancestors. They had no bottles or things with which to give their babies water and hence their babies fed on breast milk. It is nature to feed milk and not give water to babies. I once heard the arguement that breastmilk is sweet. After sweet stuff you need water. This may aply to you after you eat candy it does not to a newborn. Number one breast milk is liquid unlike candy. Number two they only know breast milk and have no idea preconception that you must drink water after. Also it is naturally sweet and MADE for them. This argument just makes no sense to me it just leaves me opening my mouth like a fish and being unable to collect my thoughts to explain just how nonsensical this argument is. There is something called gripe water said to help with colic. My mother in law kept pushing it and I heard great things and did give a tiny bit when he was crying from gasses. I gave minimal amounts less then required for his weight and only when he was crying uncontrollably and not even every day and from my experience it never really helped that I noticed. I wouldn't use it again. My doctor later told me that gripe water is more psychologically soothing it does not actually do anything, its more that you feel you DID something to help. Whether that is true or not I cannot say but I know it never actually helped in our case. What if they have a fever. This is slightly different. If your child is constipated or has a fever a doctor may recommend giving water but they will say how much. It is not normally necessary even in these cases though. When is it recommended that I give water? After your child starts eating solids or even later. They will drink water after solids and by a year they can drink water freely. Some say giving water from birth teaches them the good habit of choosing water. YOU are the one who teaches the good habits. If when they begin solids you offer water or milk and don't give sugary drinks they will learn to choose water and will like it. So what do you think, should a newborn get water? Did you or would you give water?